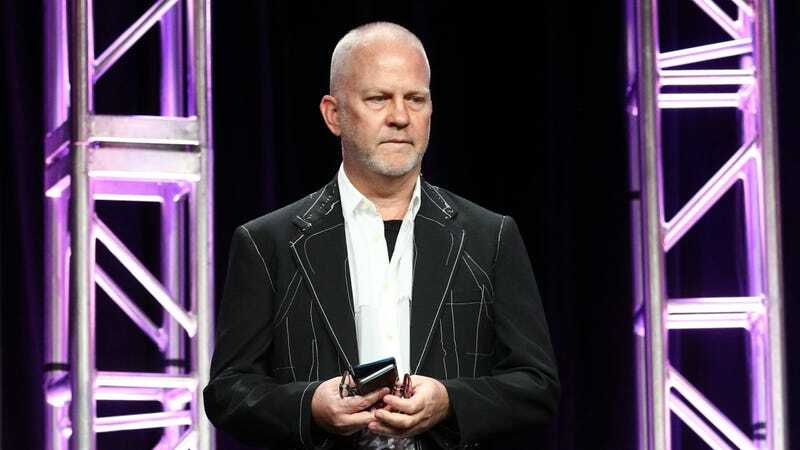 Following his One Flew Over The Cuckoo’s Nest prequel, his “Golden Age of Tinseltown” thing, and his Gwyneth Paltrow series The Politician, super-producer Ryan Murphy has announced a new project that will continue to justify the $300 million Netflix paid to lure him away from Fox. According to Deadline, his next offering to the bottomless hunger of the streaming service is a movie adaptation of Broadway musical The Prom, though it’s unclear if he’ll direct or just produce. Either way, the original The Prom comes from director/choreographer Casey Nicholaw, and it concerns—as Deadline puts it—a “troupe of hilariously self-obsessed theater stars of a certain age” who show up in a conservative-leaning small town to support a high school girl who wants to take her girlfriend to prom. No other details about the adaptation have been announced, including what roles Sarah Paulson, Jessica Lange, or Evan Peters might play, but surely there’s room for all of them here. Ryan Murphy&apos;s next Netflix original will revisit the "Golden Age of Tinseltown"